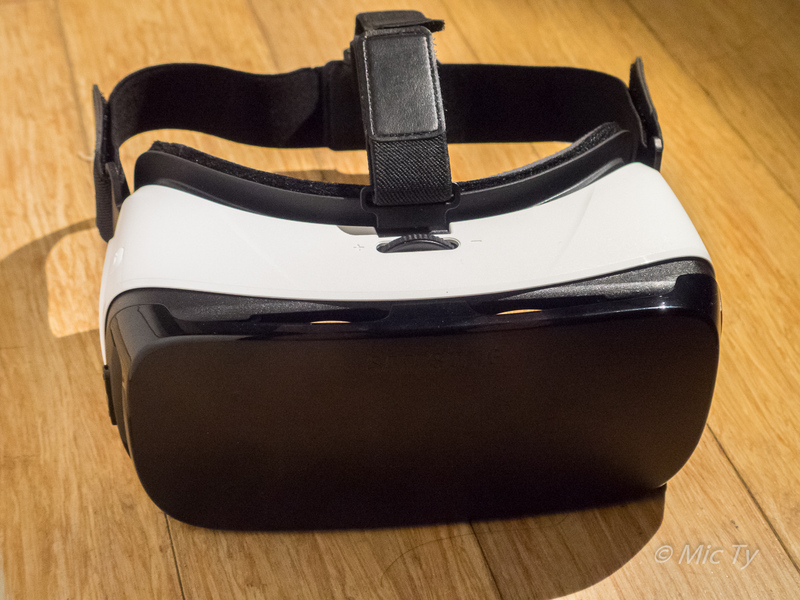 Here is a detailed FAQ for the Samsung Gear VR, a mobile VR platform (reviewed here). 1. What’s the difference between Samsung Gear VR and Google Cardboard? Google Cardboard viewers are all passive and they all rely on your phone’s own sensors. Samsung Gear VR is active and has its own sensors, which are more accurate. Because of the Gear VR’s accuracy and speed in tracking, what you see looks as if it exists outside the headset, whereas with Cardboard, you know you’re looking at images that exist only in the headset. The Gear VR is much more immersive. 2. What’s the difference between Samsung Gear VR and Google Daydream? Google Daydream is Google’s new platform for VR. Google Daydream headsets are also active, and indeed look very similar to the Samsung Gear VR. I haven’t tried Daydream yet but it appears they have identical capabilities. As with Samsung Gear VR, Google Daydream has no positional tracking. 3. What’s the difference between Samsung Gear VR and a desktop VR system such as Playstation VR, Oculus Rift or HTC Vive? Desktop VR systems have both head tracking and positional tracking. 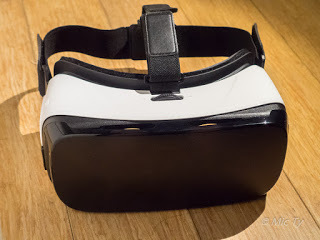 The Samsung Gear VR has head tracking but does not have positional tracking. Positional tracking means it will track your movement up, down, forward, backward, left or right. If you lean forward on the Gear VR to move closer to what you’re seeing, your view doesn’t change. Because of this difference, the PSVR, Rift and Vive have a much stronger sense of presence (the feeling that you are somewhere else) compared to the Gear VR. On the Gear VR, it does feel immersive (as though you are surrounded by the image), but the sense of presence is only weak. On the other hand, the Samsung Gear VR is mobile, completely wireless, and cheaper especially if you already have a compatible phone. Moreover, for certain media such as 360 photos or videos, which cannot change perspective based on positional tracking, the Gear VR experience will be similar as when viewing on the PSVR, Rift or Vive. 4. Which phones are compatible with Samsung Gear VR? – Samsung Galaxy S6 edge. S6 Active and S7 Active are not compatible with any Gear VR. 5. 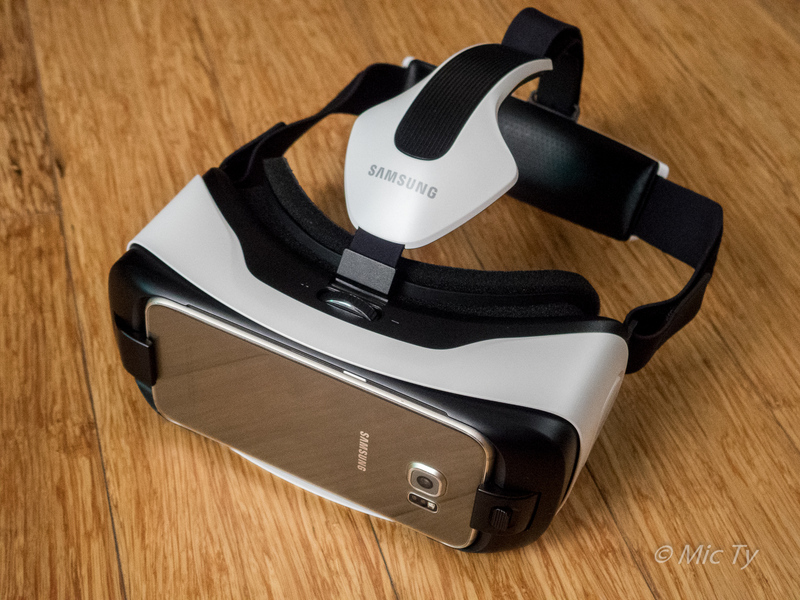 Can I use my iPhone or Android phone with Samsung Gear VR? No. You might be able to physically put the iPhone or Android in the Gear VR, but it would only act as a Cardboard viewer. 6. Can I keep my smartphone case while using my phone on the Samsung Gear VR? No. You have to remove the case/armor first. I like using the Otterbox Defender because it’s protective but relatively easy to remove the case. 7. What are the differences between the different versions of the Samsung Gear VR? What’s the difference between the Innovator Edition and Consumer Edition? There are currently three versions of the Samsung Gear VR. The first Innovator Edition, the second Innovator Edition, and the Consumer Edition. On August 19, Samsung will be releasing the 2016 edition of the Samsung Gear VR. The first Innovator edition was for the Note 4 and was intended for developers. (Not all Gear VR apps work with the Note 4 therefore this version of the Gear VR is practically obsolete.) The second Innovator edition was for the S6, but it will also work with the S7. The third Gear VR is the Consumer Edition. You can tell the difference between the Innovator and the Consumer because the Innovator’s strap has a white plastic piece on it. The Consumer has plain black nylon webbing straps. – Compatibility: the Innovator (S6) is compatible only with the S6 or S7. Other phones will physically not fit. The Consumer Edition is compatible with the S7, S7 edge, Note 5, S6, and S6 edge. – Size / fit: The Consumer Edition is larger and can accommodate glasses. The Innovator fits more snugly on your face. – Weight: the Consumer is lighter. – Smartphone fit: When you insert the S6 or S7 on the Innovator, the Innovator’s receptacle fits perfectly on the S6 or S7, therefore your phone will be perfectly level. On the Consumer, there are small spring-loaded guides for the phone but it’s still possible for the phone to be misaligned. – Smartphone lock: On the Innovator, there is a lock for the smartphone clip, designed to prevent the clip from accidentally disengaging. – Build quality: The Innovator has noticeably better quality. Its headstrap has cushioned pads in front and at the back. The straps are made of a rubberized material. The focus adjustment is partly metal instead of plain plastic. – Anti-fog fan: The S6 Innovator has a [weak] fan on its left side that is designed to reduce fogging. It doesn’t prevent fog completely but it seems to help (I experience less fogging on the Innovator). The Note 4 Innovator and the Consumer Edition don’t have a fan. – Controls: On the Innovator, the control pad is flat with a dot in the middle. On the Consumer, the control pad is molded so that you can feel which is up, down, left or right. – Front cover: Both the Innovator and Consumer have a plastic cover, but the Consumer’s cover allows you to hold a gel pack for cooling (see #9). – USB pass through port is OTG and can transmit data, making it possible to watch videos on a USB drive, or possibly use peripherals. – touchpad reverts to the smooth version in the Innovator Edition. On February 26, 2017, during Mobile World Congress, Samsung revealed the 2017 version of the Gear VR. It is identical to the 2016 version except they added a motion controller. For existing Gear VR users, the motion controller can be purchased separately. 8. How do you get the best experience on Gear VR? – If using the Consumer Edition, make sure the phone is perfectly level on the headset. If it is not level, you will feel cross-eyed. – DO NOT use power saving mode on your phone. 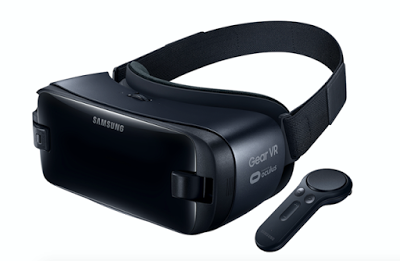 It will noticeably degrade the Gear VR’s performance. 9. How do you avoid overheating? The Gear VR is processor intensive and your phone will heat up when you use the Gear VR. When the phone is nearly overheating, you’ll notice that there is occasional judder (a vibration in the image). If you keep going, you’ll see a popup message warning you that the phone is overheating. – If you have the Consumer edition (or the Note 4 Innovator), you can insert a refrigerated 3×5 cold gel pack in between the phone and the front cover. You may need to switch out the gel pack to a fresh one now and then. 10. How do you avoid nausea on the Gear VR? First, use a chair (preferably a swiveling one). This limits your movement to within the Gear VR’s head tracking ability. Second, the apps for Gear VR are labeled based on their comfort. Those labeled ‘Comfortable’ are comfortable for almost everyone. Use that as a guide. 11. How do you avoid the phone battery getting depleted? Plug in your USB charger to the bottom of the Gear VR, where there is a pass-through USB port (on both the Innovator S6 and the Consumer; not sure about the Innovator Note4). While using the Gear VR with a charger, it won’t deplete your phone’s battery. The pass-through port requires an original Samsung charger or else it won’t charge. 12. How do you use the Gear VR? When you use the Gear VR the first time, you need to install the Gear VR software. Just unlock your phone and plug it into the Gear VR. The Gear VR software will automatically be installed. After the software is installed, just unlock your phone and plug it into the Gear VR and wear it (also see above re “how to get the best experience”). This will automatically launch the Gear VR Oculus app, which acts as both the home and the app store. The first time you use Gear VR, it will prompt you to go through a quick tutorial (you can skip it and/or re-launch the tutorial later). After the tutorial, you’ll go to the home screen. From the Oculus home screen, you can purchase apps or launch apps that you’ve purchased. Unlike Cardboard, you won’t need to remove the Gear VR to switch apps or buy apps. You can also purchase apps and launch apps without wearing the Gear VR. Just go to the Oculus app, where you can purchase Gear VR apps. If you want to launch an app, just go to the Library tab and tap on the app you want. You’ll be prompted to insert the phone into the Gear VR. When you do, it will immediately launch the app you selected. 13. Can you use the Gear VR with Google Cardboard apps? Not exactly. With some Cardboard apps, you can simply flip up the USB clip and insert the phone into the Gear VR. With other Cardboard apps, the Cardboard view won’t work. For those, you need a Cardboard enabler app to temporarily disable the Gear VR. In either case, when you use Cardboard apps with the Gear VR, the Gear VR will only act as a Cardboard viewer. You won’t get the benefit of the Gear VR’s more accurate head tracking. Only native Gear VR apps can use the Gear VR’s advanced head tracking. 14. Can you watch YouTube 360 videos? Strangely, there is no YouTube app for the Gear VR. But you can watch YouTube 360 videos (even 3D ones). You will need the Samsung Internet app (which simulates browsing with a very large screen). 1. Launch the Samsung Internet browser. 2. From the browser, go to youtube.com and find your video. 3. If you see the settings on the lower right corner of the video, choose the highest resolution. 4. Click on the ‘box’ on the lower right to maximize the screen. 5. After the screen is maximized, choose “More” on the upper left of the screen. 6. Choose the viewing mode (3D 360, 2D 360, 3D, etc.). 15. Can I watch my own 360 videos that aren’t on YouTube or other website? Yes. There are several apps for doing that. The most basic one is Oculus Video. In Oculus Video, to watch a 3D 360 video, you must rename the file to end with _360. The video will then be recognized as 360 and will appear in the “My videos” section of the app. 16. Can you watch 3D 360 videos that aren’t on YouTube or some other app or website? Yes. There are several apps for doing that. The most basic one is Oculus Video. In Oculus Video, to watch a 3D 360 video, you must rename the file to end with _360_TB or _360_BT or _360_LR or _360_RL to designate it as top-bottom, bottom-top, left-right or right-left format. The video will then appear in the “My videos” section of the app. 17. Can you watch 2D videos? and: Why would I want to do that on a Gear VR? Yes, you can watch 2D content on the Gear VR. Depending on the app, it will look like you are watching on a movie screen or large TV screen. This isn’t like those old headsets that simply put LCDs in front of your eyes. On the Gear VR, the screen looks like it’s ‘out there.’ If you turn your head to the left, the screen will be on your right side. (Yes you can also reset the screen to go back to the middle wherever you are facing.) On some apps, the screen looks like it’s floating in a void, and on other apps, it looks like a theater, complete with seats, curtains, etc. 18. Can you watch 3D non-360 videos? Yes. There are several apps for doing that. The most basic one is Oculus Video. In Oculus Video, to watch a 3D video, you must rename the file to end with _TB or _BT or _LR or _RL to designate it as top-bottom, bottom-top, left-right or right-left format. . The video will then appear in the “My videos” section of the app. 19. How many apps are there for the Gear VR? As of July 9, 2016, there are approximately 270 apps. 20. What is the best app to demo the Gear VR with friends or family? I like “Introduction to Virtual Reality,” an app by Oculus which shows highlights from several apps. For an actual app, I also like to use GrooVR, which I think is one of the most immersive Gear VR apps. 21. Is there anything good to watch on Gear VR? Yes, besides the stuff that’s available on YouTube, there are many apps on the Gear VR, each with their own selection of content. 22. Are the games any good? Yes there are several good games for the Gear VR. As of July 2016, here are my favorite games for the Gear VR. Drop Dead – a very well-made zombie themed shooter. Not scary. More like action shooter (with a similar feel to the arcade classic House of the Dead). End Space is good but can be nausea-inducing. Bandit Six is like EVE: Gunjack with a WW2 theme, and less fancy graphics. Esper 2 – a puzzle game where you telekinetically manipulate objects to solve puzzles. 23. Should I get a Gear VR? If you have a compatible phone, and you have any interest at all in VR, yes! The Gear VR has the best mobile VR experience thus far, much better than what is possible on Cardboard. Its app store has many very good apps both for viewing and for playing. If you don’t have a compatible phone, it’s a less straightforward answer. I think there are two types of people who would benefit: 1) those who like watching 360 videos; and 2) those who like playing casual games. If you like watching 360 videos, the Gear VR provides the best mobile VR viewing experience at the moment (alternatively, you can wait for Google Daydream). Alternatively, if you like playing casual games and you enjoy Cardboard, you will probably enjoy the Gear VR as well.24. What is the cheapest way to get a Samsung S6 or other compatible phone? To use the Gear VR, you only need to have a phone with Wi-Fi connection. Damaged phones that can’t connect to a cell service are usually a little cheaper. As long as the Wi-Fi works, it can work with the Gear VR. Avoid those with damage on the screens, because those cracks and damage will be very visible when you’re using the Gear VR. If you’re more adventurous and technical, you could get a live demo unit (LDU), which is significantly cheaper. 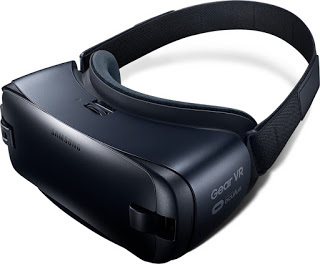 Demo units normally cannot download the Gear VR software. However, there are ways of re-flashing the ROM. I haven’t tried it myself so I don’t know if that process works.